Now with Google Classroom Integration! Engage students on the web or in print with with our Notebook Series. Assess what you teach with one of our PARCC-like Assessment Series. Get informed about student progress. Build and share your own interactive assessments and content while collaborating with other teachers, coaches, and administrators in your district. Get started with a FREE teacher account. Teach Free Browse and project interactive questions for classroom instruction using a FREE teacher Account. Register Students Purchase accounts for students to take online interactive assessments and/or work on pages from the Core Notebook Series. Review Results Analyze data and student responses to questions when a class works on a notebook or completes an assessment. Inform Instruction Use reports and student work to identify misconceptions and reteach individual students, small groups, and/or whole classes. 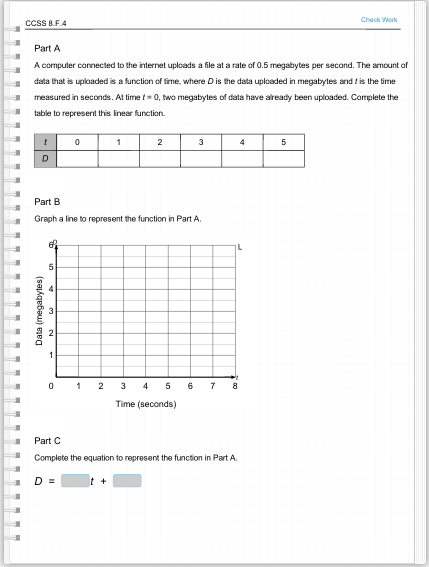 Our Print-or-Active™ Notebooks are a great way to transition from traditional workbooks to students using pages online with interactive models and getting the immediate feedback they need. Student work is automatically graded and presented to teachers and administrators through a variety of reports, helping to inform class instruction. Each notebook targets a domain in the Common Core Standards for grades 3-8 and custom notebooks can also be made to match a district's scope and sequence. Notebooks have pages arranged into assignments that are both printable and interactive. Pages and assignments can be used in whatever capacity they are needed, including instruction, practice, class discussions, and homework. Students can log on from anywhere with a modern web browser, and teachers have access to all notebooks at all grade levels. A great companion to our Assessment Series. Students get immediate feedback when they build models to represent and solve problems. Students can review work at anytime, and log on from anywhere using a modern web browser. Teachers can view automatically graded Student work as their students complete their assigned interactive pages. Teachers can view item analysis data for each page and assignment to better understand and address areas of non-proficiency. Administrators can access and analyze data for individual students, classrooms, and schools. Notebooks can be built quickly for more narrow applications, such as interventions or summer school programs, allowing for the organization of interactive pages and practice assessment tasks into custom digital notebooks that mirror a district's curriculum maps. Use one of our Classroom Assessment Series to assess your students and get informed with quality assessment data that is available immediately. Each series is the result of a collaborative effort between Mobius and school districts using a core curriculum. Give formal assessments to an entire district, school, classroom, or individual students using PARCC and SBAC-like assessment questions. Each series can be adapted and customized to assess district-specific curriculum maps. Students log on from anywhere with a modern web browser, and their work is visible to teachers and administrators through a variety of reports. 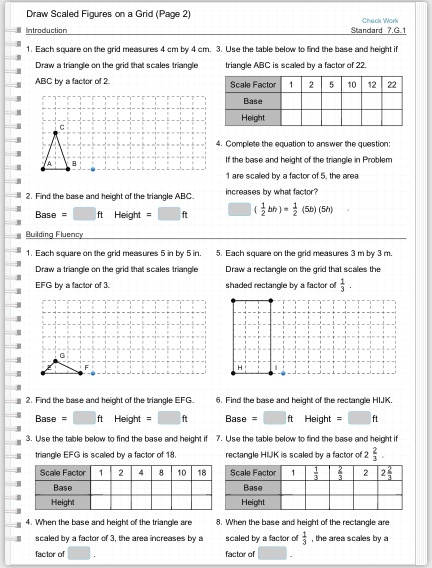 students can also view their own assessment results. Get and stay informed with quality assessment questions and data that is available immediately and can be used to shed light on student misconceptions. With Formal assessments, the questions are interactive but students cannot check their work. Students can flag questions and review their work before completing an assessment. Assessment practice is also available. Students can check their work to get immediate feedback and teachers can project questions to an interactive whiteboard to discuss strategies with a whole class.